This image shows an example of colliding galaxies from a new photo atlas of galactic "train wrecks." The new image combine observations from NASA's Spitzer Space Telescope, which observes infrared light, and NASA's Galaxy Evolution Explorer (GALEX) spacecraft, which observes ultraviolet light. By analyzing information from different parts of the light spectrum, scientists can learn much more than from a single wavelength alone, because different components of a galaxy are highlighted. This image shows NGC 935 and IC 1801. 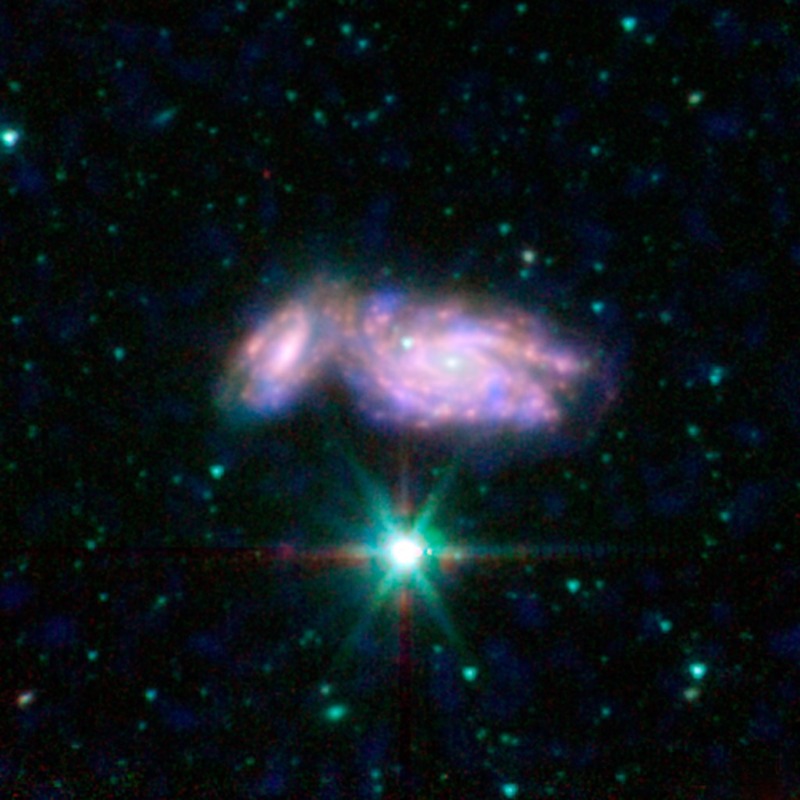 In this representative-color image, far-ultraviolet light from GALEX is blue, 3.6-micron light from Spitzer is cyan, 4.5-micron light from Spitzer is green, and red shows light at 5.8 and 8 microns from Spitzer.